Dr Shilpa Dhoka ke Ayurvedic Nuskhe – every Sunday ke Sunday. 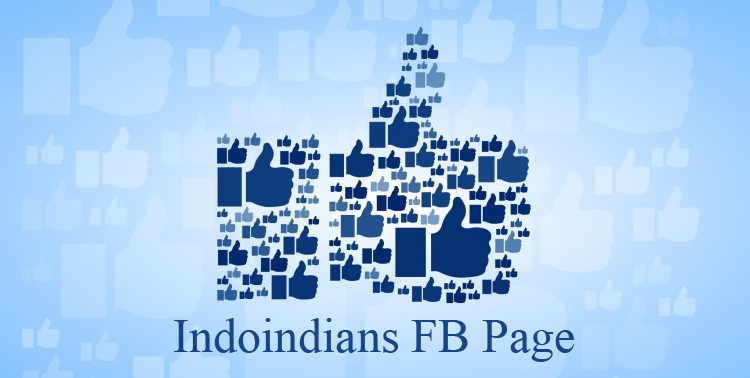 Easy remedies from Ayurveda by our Ayurvedic doctor Shilpa updated every Sunday. Remedy no. 1 for Diabetes, High BP & Cholestrol A tablespoon of dry cluster bean (Guar) powder empty stomach daily works wonder to bring sugar levels down in Diabetes Mellitus Patient. 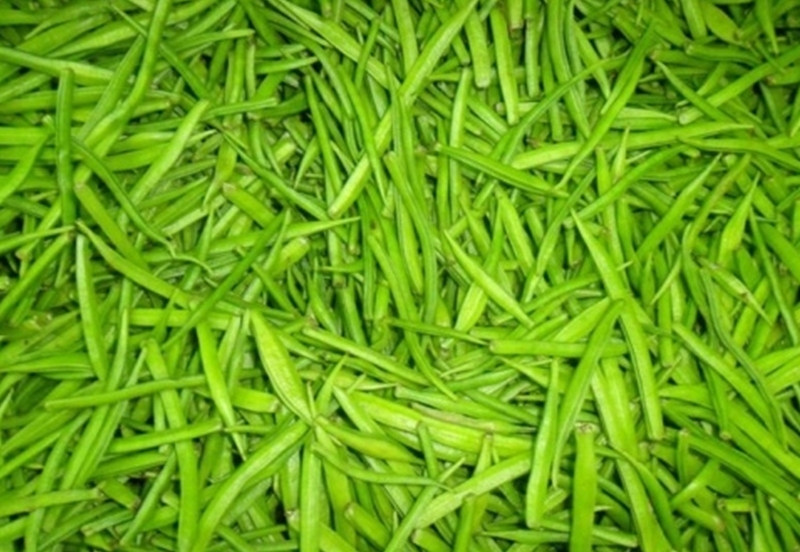 It also helps control High Blood Pressure and High Cholesterol Levels. Cluster bean powder aids in weight loss also. Remedy no. 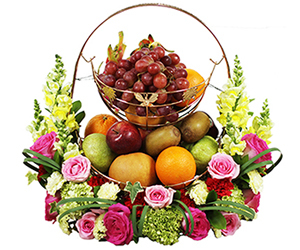 2: With the increasing stress in our day to day life, low HDL levels (good type Cholesterol) in blood have become a concern. 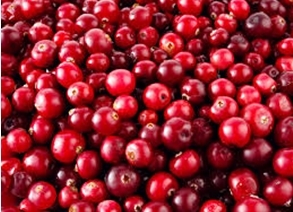 Taking fresh Cranberry with fresh garlic daily helps increase HDL levels miraculously. Cranberry 1000 mg and garlic 1000 mg can also be used in tablet form. 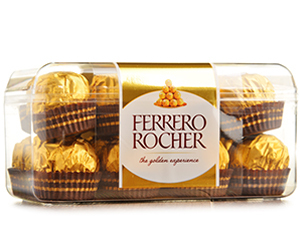 It helps restore therequired ratio of HDL and LDL level towards healthy living. Remedy no.3: A clot in the heart can be fatal. 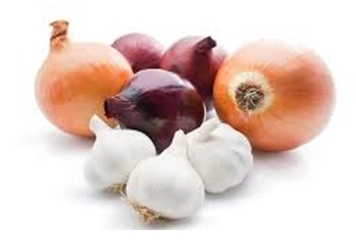 2 tablespoons of onion OR garlic paste taken daily slows down the blood clotting extremely as these 2 bulbs inhibit platelet from making the mesh for blood clot. 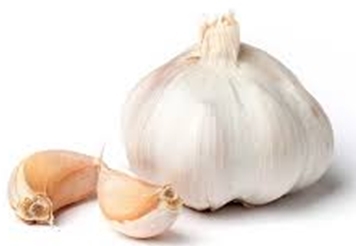 Onion and garlic help control hyper aggregation of platelets. Remedy no. 4: Hair fall is a major problem all around. 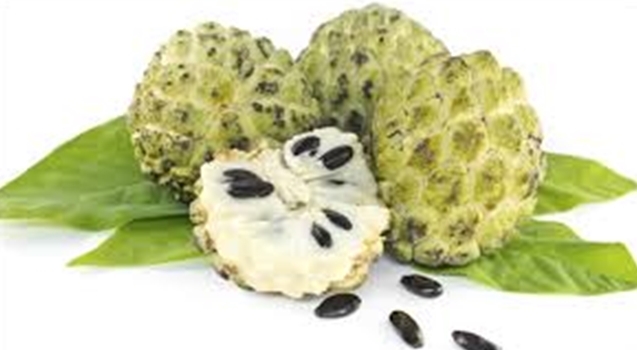 Apply paste of Custard Apple leaves or seeds (Sitaphal or Srikaya) to your scalp and wash it after 20 minutes. You can see the hair fall stops within 3 to 5 days. To improve the hair growth, one should continue using the paste at least twice weekly. Remedy no. 6: The simplest way to tackle acidity issues is found in our kitchen. 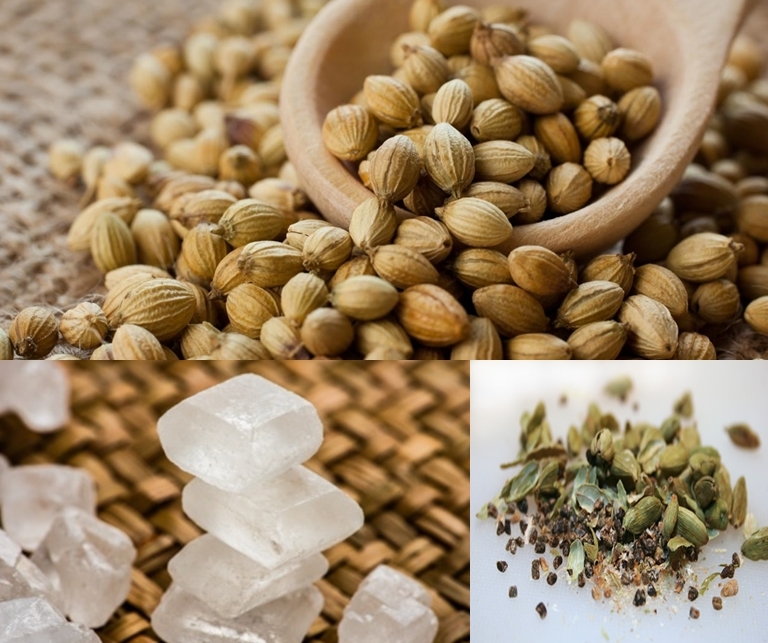 Take equal quantity of rock sugar, coriander seeds and cardamom seeds and pound them together. Consume 2 to 3 pinch of this mixture 2 hourly daily and say bye to acidity. Remedy no.7: Children tend to catch cough and cold very often. 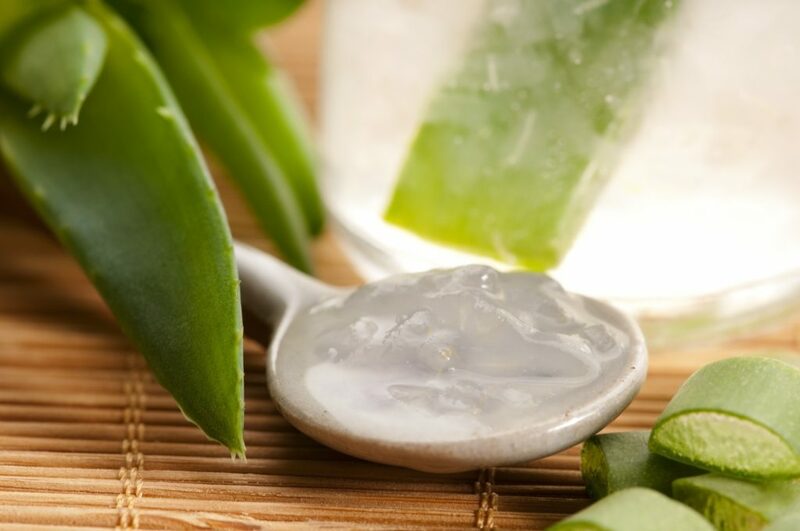 2 tablespoon of Aloe Vera flesh with honey 2 to 3 times a day works like mucolytic and helps to get rid of phlegm. Remedy no. 9: For beautiful glowing soft skin, massage the skin using milk mixed with 1 tablespoon of lime juice. This milk mixture can be used to massage face and the whole body. Remedy no. 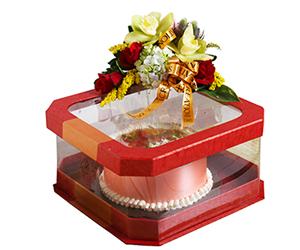 10: In this world of junk food and busy life, number of people suffering from piles has increased recently. 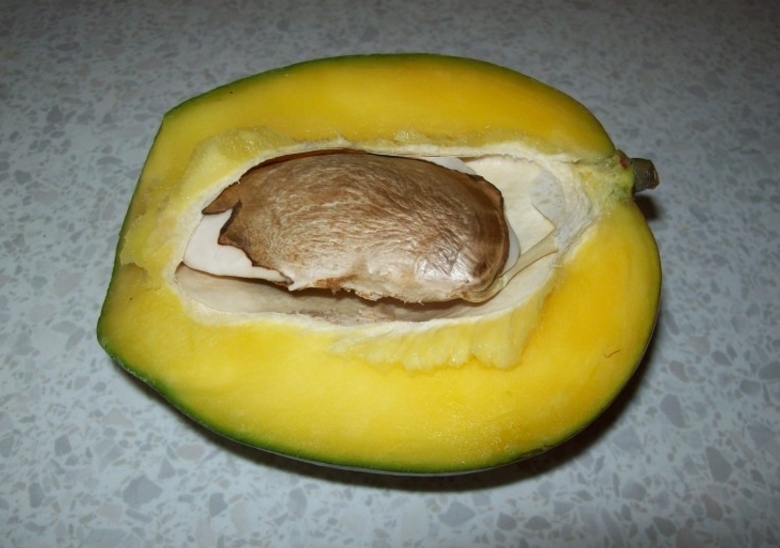 1 teaspoon of raw mango seed powder taken twice daily with lukewarm water helps get rid of piles. 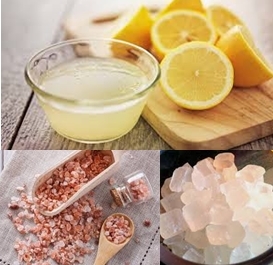 Remedy no 11: 1 tablespoon of hot lemon juice mixed with a pinch of Himalayan salt and 1 pinch of powdered rock sugar helps get rid of stomach cramps immediately. 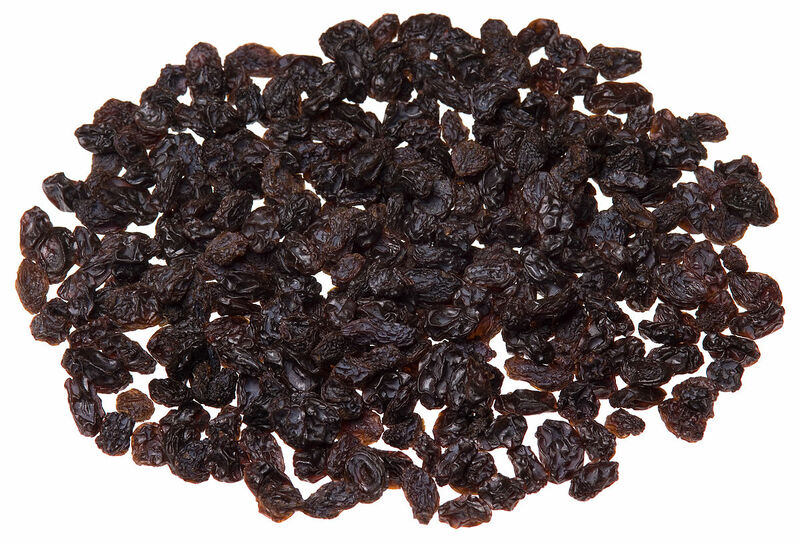 This mixture helps strengthen the intestines if taken daily twice after meals. Remedy no. 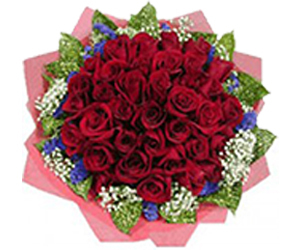 12: Now days, due to arthritis, joint pain has become a big issue. Massage on joints with a mixture of mustard oil and onion juice (both equal quantity) relieves arthritis pains. This mixture of onion juice and mustard oil helps tone the muscles and in turn the joints are taken care. 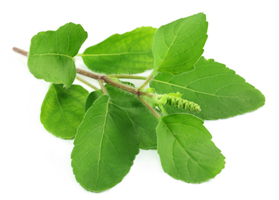 Tulsi leaves are well know for their antistr ess capabilities.10 to 12 leaves of Tulsi chewed daily keeps depression away .Tulsi leaves have high content of Vitamin A . Thus,a daily dose of Tulsi leaves enhances physical and mental health . 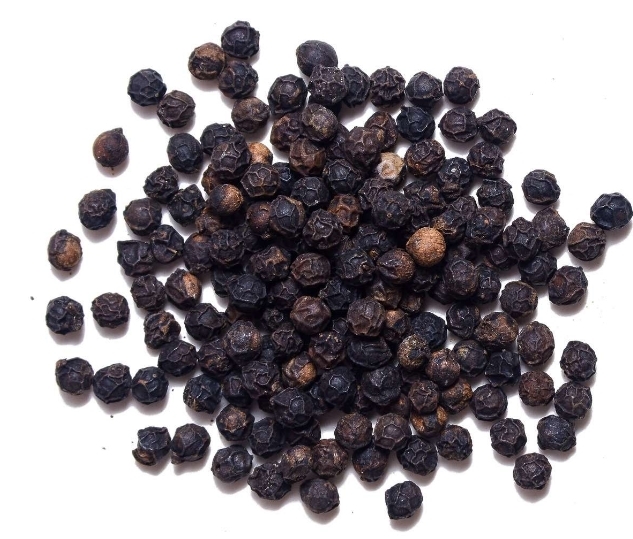 In Acute or Chronic cold and cough , One should boil 7 munakka without seeds in half a cup of milk and drink daily .If there persist an irritation in throat , take 4 to 5 munakka with seeds daily. Dopamine and adrenaline produce in Almonds inhibits cognitive decline . 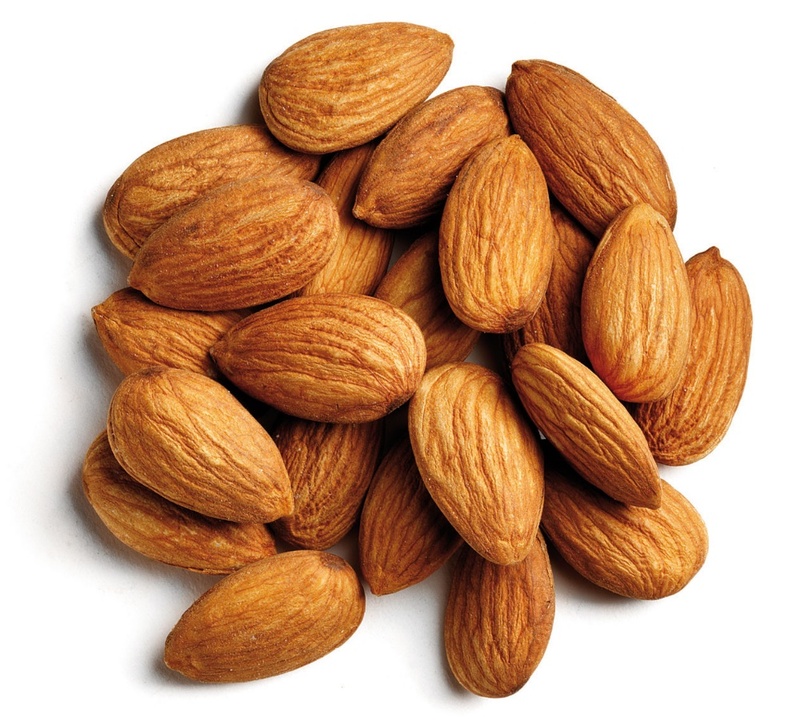 Almonds being high in unsaturated fats helps increase HDL (good cholesterol)levels and reduce LDL (bad cholesterol)levels in blood .Almond helps reduce glycemic index in blood very fast .Taking 4to 5 Almonds daily helps keep sugar and cholesterol level in control.